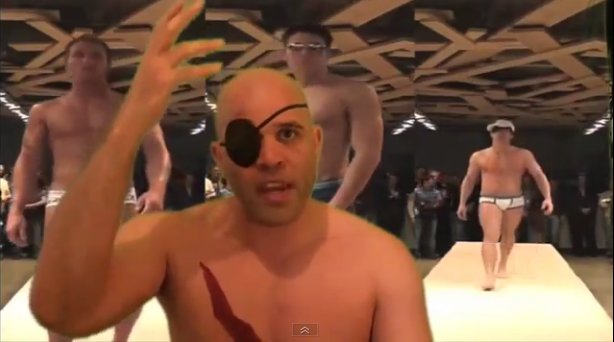 This week's Sundays with Sagat is a little different. For one, it's the start of a two-part crossover with this other video series on Destructoid. Secondly, this is one of the only episodes in the series to get an accompanying feature-length post as well. 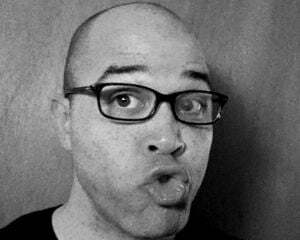 Sagat thinks that we need more overweight videogame protagonists, and I'm here to show him that we've already got plenty. Behold my list of the best of the best of the rotund videogame characters OF ALL TIME. 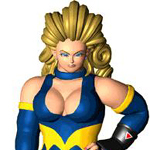 And Sagat, her name is McGonigal. Jane McGonigal. The big guy from Ice Hockey is one of my favorite video characters ever. Sure, he promulgates the idea that obese people are slow, violent punching bags, but he's also really good at hockey. 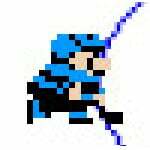 His slap shot is sublime, and he can easily beat the tar out of the two other classes in the game. It also makes a awesome sound when he bounces someone off of his belly. 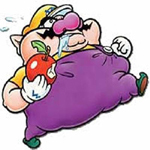 Like Earthquake from the Samurai Showdown games, Wario is a chubby, mean, greedy, and flatulent dude. He's pretty much Mario, but evil, and fatter. Is Nintendo telling us that there is a proportional relationship between how fat you are and how evil you are? Maybe. One thing is for sure, though -- Mewtroid in WarioWare is pretty much the best thing anyone has ever made ever. The Wii balance board would allow Mary to play Wii Fit, but just barely. Her self esteem would likely take a hit in the process, as the thing would surely call her obese. I know how you feel, Mary. Maybe that's part of why I find you so attractive. I relate with your fat struggle. It also has to do with the fact that, despite your reported weight, you still have a rockin' hourglass figure. In fact, it's sort of hard to believe that you're 308 pounds. If you look that good, and are more than 100 pounds heavier than I am, you either have really dense muscle tissue, or you were weighed on Jupiter when your demographic data was collected for the manual of Tobal No.1. Rufus does a lot of things right. For one, he defies the "slow fat guy" stereotype. He's one of the fastest, and most deadly, characters in Street Fighter IV. He's also an egomania-driven food addict who is thought to symbolize both the arrogance and the obesity epidemic in the United States. Sadly, now that Yun and Yang are in Super Street Fighter IV: Arcade Edition, a lot of tournament players are already swapping out Rufus for either of those faster, prettier, and easier-to-use characters. Still, Rufus will always represent the brief, shining time when the "weird fat guy" was on top of the world, or at least, on top of the world of Street Fighter. 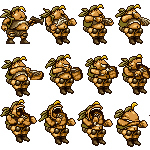 Starting with Metal Slug 2, grabbing too many food pick-ups would cause you to suddenly get super fat. This fat status causes you to become slower and easier to hit, but on the bright side, your gun gets fat too, causing it to shoot fat bullets. Being fat also gives you the ability to attack your enemies with a fork. I guess that's some sort of crack at fat people? Like they are cannibals, or fork lovers, or something? Actually I hadn't thought about it until just now. I was too busy thinking about how awesome the Metal Slug series is and how it has some of the best sprite animation ever. I don't know if anyone will ever top Metal Slug 3. Street Fighter III: 3rd Strike comes close, but it doesn't quite get there. I guess that's my list, folks. I hope you liked it. 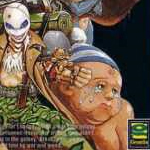 There are a lot of other overweight characters I could choose, but they're either fit enough to have four-pack abs (like E. Honda), are basically appetite personified (like Quina Quen and Pac-Man) or are just blatantly gross and bad (like the Boomer and that guy from Heavy Rain). 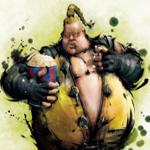 It's pretty tough to find overweight characters who play a central role in videogames who are not slow, stupid, mean, food-obsessed, or all of the above. Donut Drake is the only other one I can think of, and apparently, that whole thing was supposed to be some sort of joke. I don't claim to be a world expert on this topic, though. Maybe I'm missing something. Did I overlook your favorite fat videogame character?